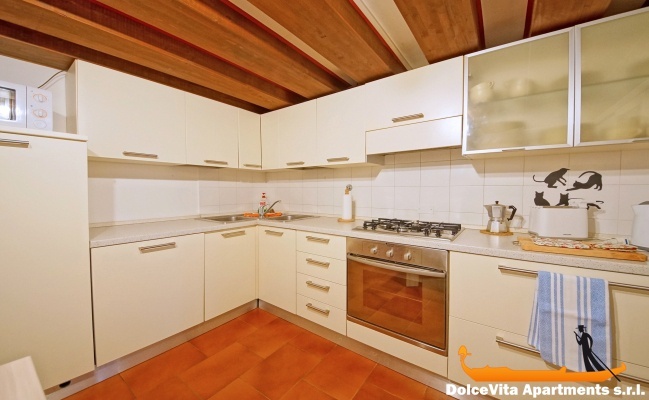 Apartment N. 363: It can accommodate up to 8 people, it is rented from 250 € per Night (not per person). 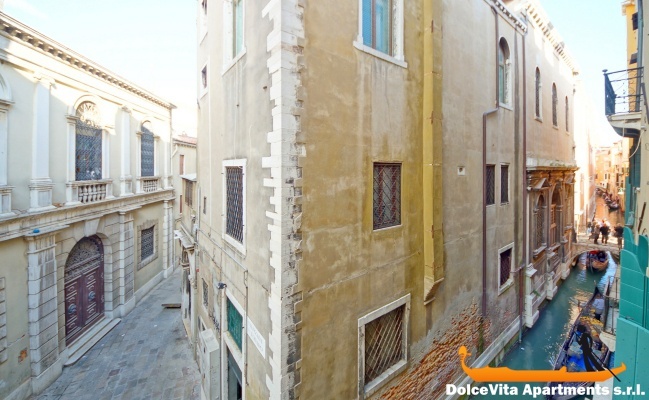 New Venice Apartment for 8 People Canal View: Luxurious and cosy apartment, it is found on the second floor and it is situated in the city centre of Venice. 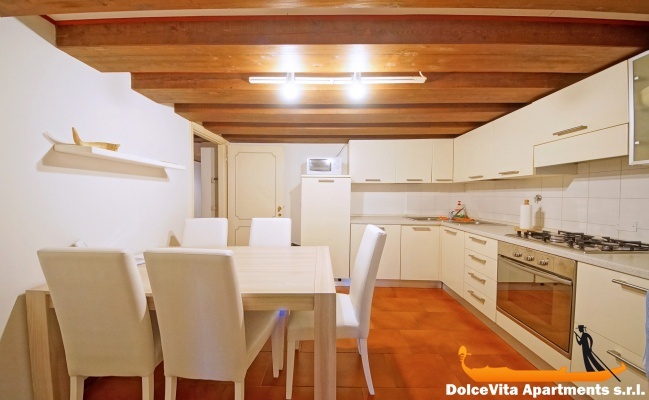 This vacation home is located in the Sestriere of San Marco (namely, district of San Marco) and it consists of a living room, a kitchen, three bedrooms (one double room and two twin rooms) and two bathrooms. 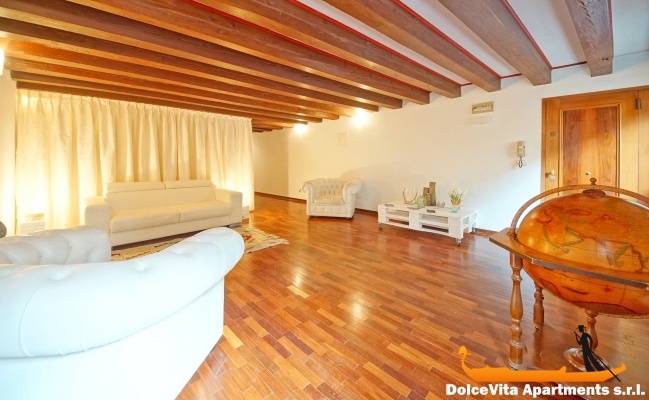 Tastefully and carefully furnished, this house appears rather cosy and it can accommodate up to 8 people, thanks to the sofa bed placed in the living room. 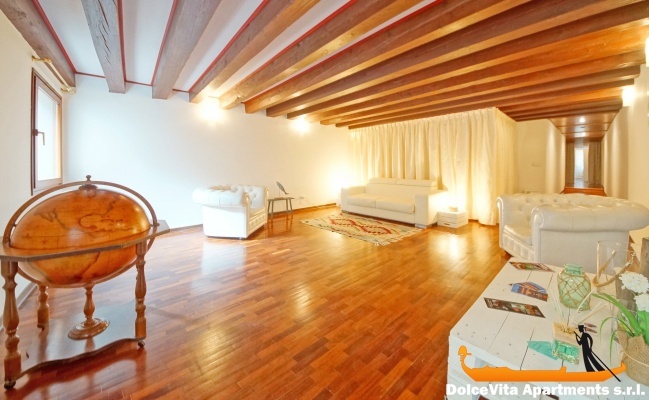 The parquet flooring and the wooden-beam ceiling make the location even cosier. 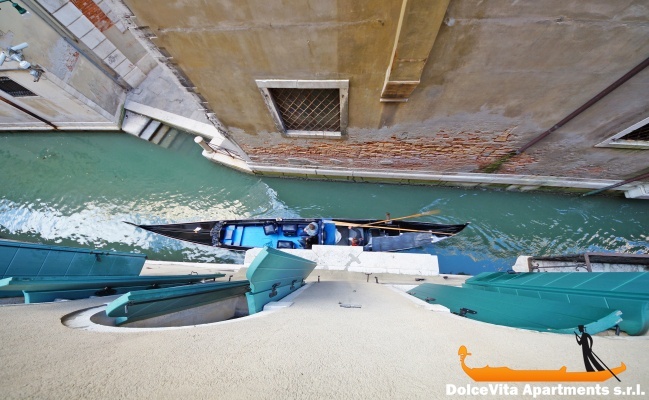 Also, from the windows of the bedroom you can enjoy a breath-taking view of the underlying canal. 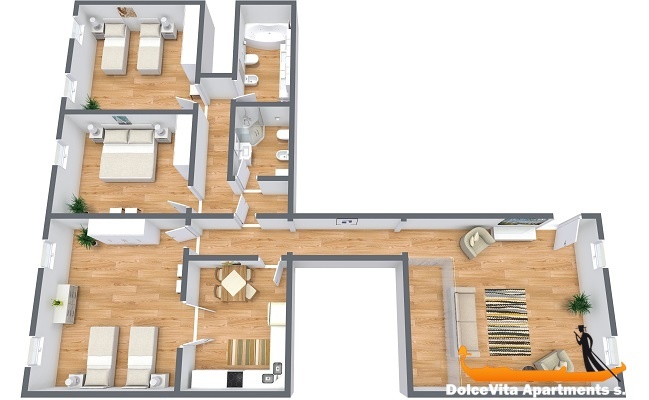 As far as furniture is concerned, there is a well-equipped large kitchen with refrigerator, freezer, dishwasher, oven, microwave and toaster. 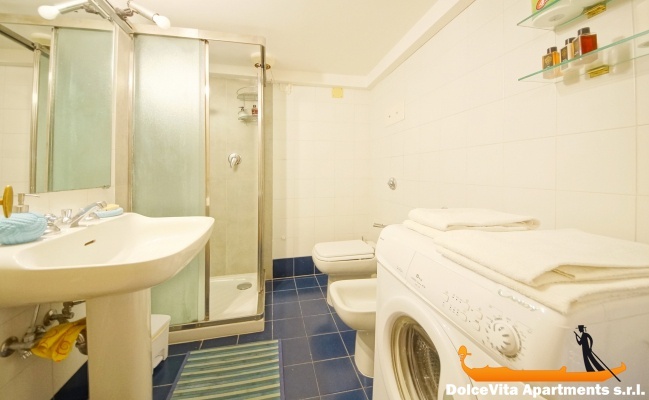 In addition, the apartment features a washing machine, Wi-Fi connection, TV and heating system. 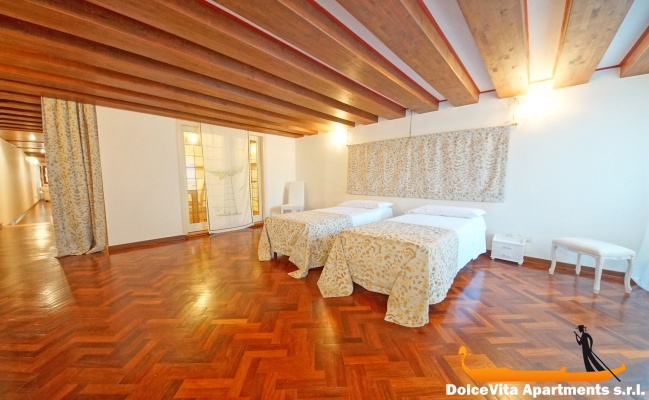 Guests are provided with clean towels, blankets and bed sheets. 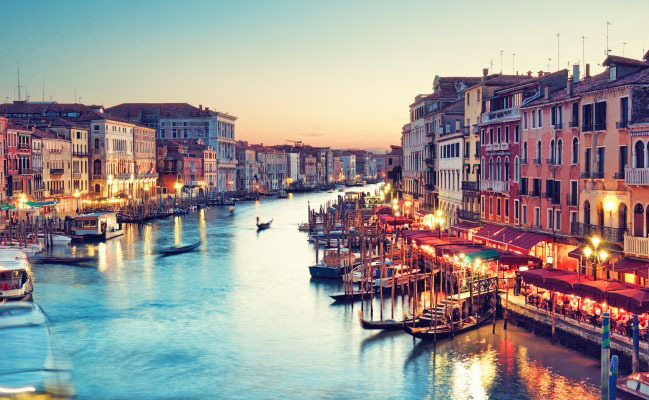 The house is located in a very central and well-served area: as a matter of fact, St. Mark’s Square is only 5 minutes’ walk and the Rialto Bridge is 250 meters away. 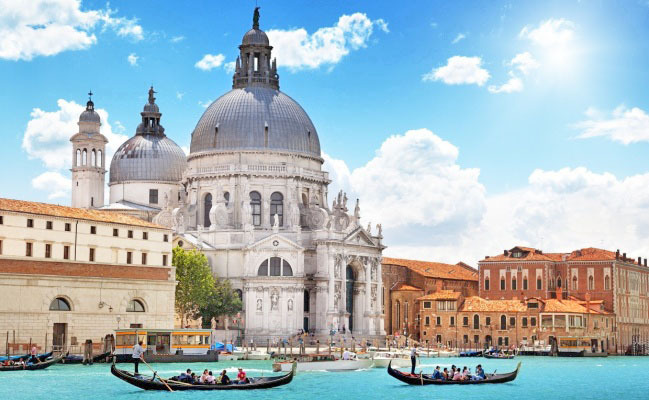 Transport-wise, you can easily move around by Vaporetto (namely, ferryboats) towards the other areas of the lagoon. 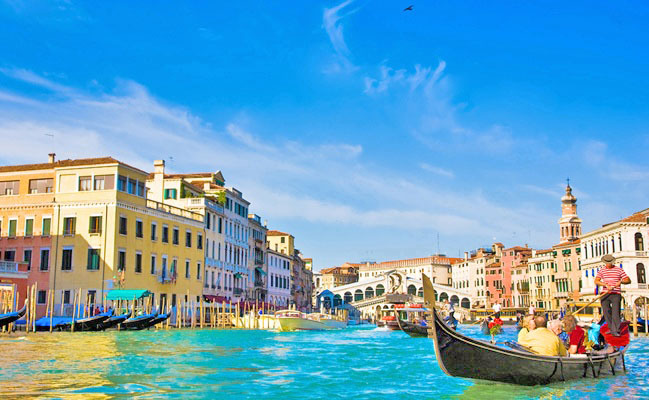 The closest Vaporetto stop is “Rialto”, which is only 200 meters away from the apartment. 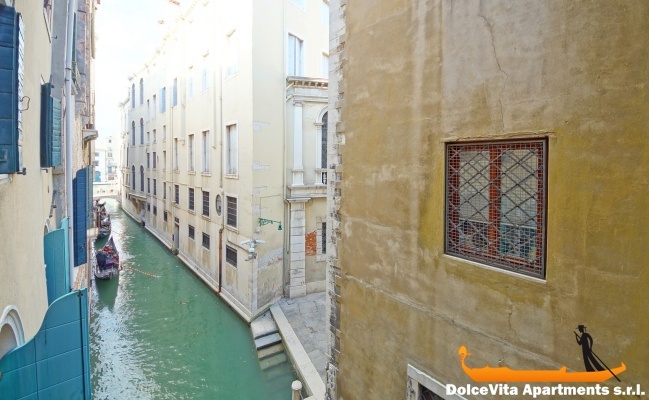 The apartment has a super location directly to the Rialto Bridge . 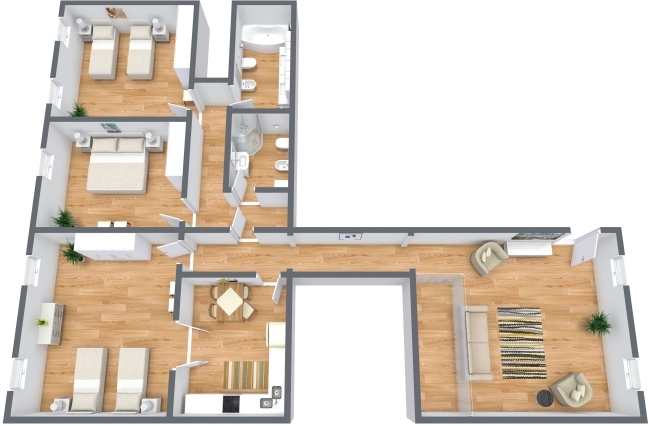 It has a lot of space and nice light rooms. The service is fine and well functioned. 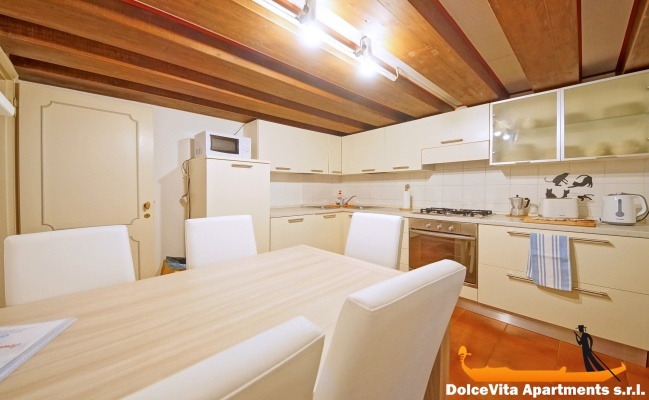 We loved it, the apartment is warm and welcoming, in six adults we were comfortably. As for the service I would say very good and efficient, the person who received us was very kind and helpful. All in all an experience that can be recommended.